Im in the sticks of organising myself for my first market since I moved to Australia a year and 5 months ago, and it really is starting from scratch as I am now working solo and under a new name. My old business was called ‘Sawdust and Diamonds Clothing’ and was a collaborative project with my wonderful friend Jenni Joule (go check out her amazing solo work at Jenni Joule Wearable Art on Facebook: http://www.facebook.com/pages/Jenni-Joule-Wearable-art). So starting afresh with a new name, no independent project and no one else to fall back on/get inspiation from has been a really interesting experience! I’ve been busy over the last few weeks sorting out business cards, labels, swingtags, bags, as well as the most important part which is things to sell! 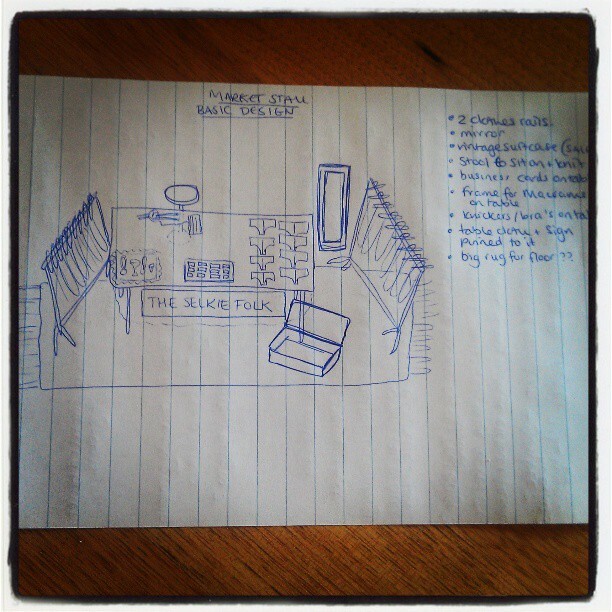 Its been full on fitting this in alongside my other commitments (I work as a Nanny, this thankfully pays the bills!) and spending some much needed snuggly moments with my wonderful partner Tom. My basic aim is to make back the $70 fee…if I do that then I will be happy. If I make a few more sales to cover material costs then that will be a massive bonus! (But i’m also a natural pessimist most of the time and have been to markets where I havn’t sold a single thing…) So just a couple of sales at least please cosmos! I’m planning on selling a range of cheaper and more expensive garments and accessories and have been thinking up of some fast and easy designs that I can sell for under $20. 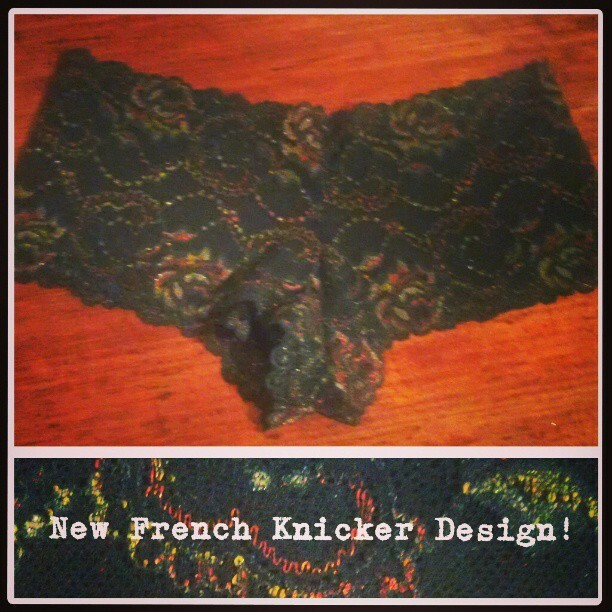 I’ve been working on some really gorgeous stretch lace French Knickers to display on my table that Im really happy with. They are a super flattering shape, really soft and comfy and soooo pretty. Im also planning on making some basic jersey dresses, a few pairs of leggings (possibly with a fold over lace waistband/skirt (photos to come! ), and some other nice basics to work beautifully alongside my more intricate patterns and designs like the Hooded Pixie Dresses, Waistcoats and Jackets.